The minister requested the central government to allow utilisation of labour under the MNREGA for disposal of paddy straw for a period of one month. CHANDIGARH: Haryana Agriculture Minister Om Prakash Dhankar has requested the central government to allow utilisation of labour under the MNREGA for disposal of paddy straw for a period of one month. He wrote a demi-official letter to Agriculture and Farmers' Welfare Minister Radha Mohan Singh and Minister of Rural Development and Panchayti Raj Narender Singh Tomar in this regard. Dhankar said after getting the residue collected at an earmarked place in a village, the sarpanches may dispose of the material by supplying it to industrialists, power making small plants and brick kilns. He said the farmers should be provided an incentive at the time of purchase of paddy for the management of paddy straw. He also requested the Centre to allow utilisation of labour under the MNREGA scheme for disposal of paddy straw for a period of one month during the peak season of paddy procurement. Dhankar said the state government is concerned about the problem of smog in Delhi due to burning of paddy crop residue. 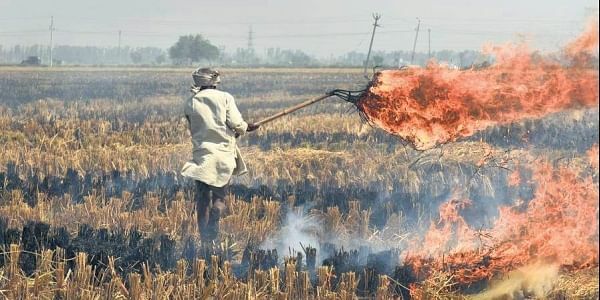 He said in Haryana, all possible steps are being taken to stop farmers from burning paddy straw. A subsidy of Rs 75 crore for disposal of the residue, with an additional subsidy of Rs 10 crore for purchase of implements have been provided for paddy straw management. A large area measuring about 12.85 lakh hectare is under paddy cultivation in the state, he added. Notably, thick smog, mainly caused by stubble burning, has enveloped parts of Punjab and Haryana over the past few days affecting normal life.